I know that I've told everyone that Doc Harry tried to kill me, but that really isn't true. Doc Harry would not intentionally try and kill anyone. Harry is a loving caring person, without a mean bone in his body. Harry does like his little jokes, and sometimes his jokes do get out of hand. Harry and I both served in the Army Reserve. Our unit was in Portland, and we would often share rides. I was a Sergeant First Class, and Harry a Lt. Colonel. He was a great officer to serve with. He was always concerned about his soldiers' welfare, and would at times remind other officers that they too had a responsibility to care for their troops. It was close to Christmas, and the weatherman had predicted ice storms. It was still dark when Harry pulled up in front of my house. Harry had telephoned my wife earlier and suggested that because of the weather, we should plan to stay overnight in Portland. He also told her not to worry, that he would make arrangements for me. My wife conveyed all of this to me, and I agreed. Harry was right; it probably would be wiser for us to stay in Portland. I grabbed my bag, kissed my wife goodbye and headed out the door. Col. Harry and I were on our way to serve our country. It was not an easy day at our Army Reserve Center. The Logistics people were all in a dither trying to prepare for a week long Command Logistics Readiness Test (CLRT). Col Harry was the S-4. He was the officer in charge of the unit's logistics section. If something were to go wrong, it would be his neck. The unit was also preparing for their annual Dine-in, Christmas Party, and turkey raffle. The Dine-in is a major military ritual, where the soldiers dress up in their best uniforms and have a very formal dinner. An important general from the U.S. Army Special Operations Command (USASOC) in Fort Bragg would be their featured speaker. Everyone wanted things to look their very best for the General's visit. We worked hard that day. Everyone did all that they could do to make sure that everything was in order. I was the Unit NBC (Nuclear Biological and Chemical Warfare) NCO. I had the NBC area to take care of, equipment had to be serviced, and a wealth of training and equipment records had to be reviewed to make sure that every "I" was dotted and ever "T" crossed. A tremendous amount of work was needed before the CLERT inspectors visited us. It was well after 8:00 that evening when Col Harry yelled to me: "Hey Sergeant Eagle. It's time to quit; I think we've done enough damage for the day." Col. Harry and I grabbed a snack and headed to our motel. I had never been to this motel before. Col. "Doc" Harry had made the arrangements. 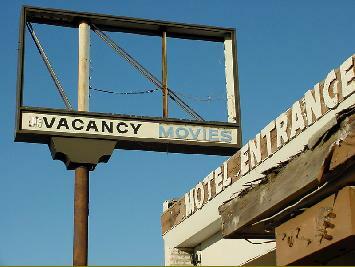 The motel was on Barbur Blvd in Portland and had a sign that read, "Hot Tubs, Movies." "What kind of a place is this?" I asked. "Oh, it's not all that fancy," smiled the Good Colonel, but it's a place to sleep. I've been here a couple of times, and it really isn't all that bad…Besides, it's my treat. I believe in taking care of my men." There was something about this place that just didn't sit right. I thought it was real strange that one didn't enter an office or reception area; rather there was a barred window with a slot under it. Col. Harry poked some money in the slot, and a couple of keys were poked back to us. Harry headed to his room on the far side of the motel complex. My room was a good distance from Harry's and I immediately had problems. My key didn't work.